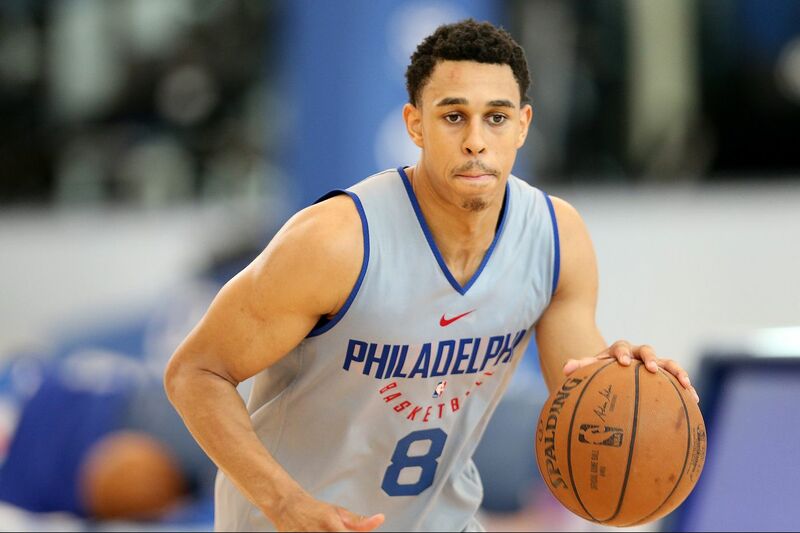 Zhaire Smith showed some flashes in the summer league. LAS VEGAS — Zhaire Smith intends to work out in the 76ers facility in Camden on Tuesday morning. The rookie said that was part of the plan shortly after the Sixers were eliminated by the Memphis Grizzlies, 82-73, on Sunday night in the NBA Summer League quarterfinals. He was hoping to be in the gym first thing Monday morning, but the Sixers' flight wasn't scheduled to leave for Philadelphia until 5 p.m. EDT. "Really just continue to improve on my ball-handling, shooting," Smith said about his focus. "On defense, stop reaching a little bit, continue to stay aggressive, and just all-around game." While Smith does that until the start of training camp in September, Furkan Korkmaz will spend most of his time in Turkey with the national team. Korkmaz flew to his home country after summer league to practice for and compete in Turkey's two FIBA World Cup qualifying games in September. Turkey will play Montenegro on Sept. 14 before facing Slovenia three days later. The second-year swingman is unsure when he'll return to the Philadelphia area before training camp. But he knows he'll have to work on his consistency to crack the rotation this coming season. For Smith and Korkmaz, the summer league provided somewhat of a barometer of what they need to work on. And in Korkmaz's case, this was sort of a let-me-show-what-I-can-do event. The 20-year-old averaged a team-leading 16.7 points to with 4.2 rebounds, 2.0 assists and 1.0 steal. His highlight was a 40-point performance against the Boston Celtics in the July 6 summer-league opener. The flip side: scoring four points and one point, respectively, in the Sixers' next two games. But he regrouped nicely with 18-, 19-, and 18-point performances in his final three games. Asked what he thought he showed the Sixers' coaching staff and front office, Korkmaz said: "I think maybe what I can do, offensively. But I feel like sometimes I show really good things on the defense. Sometimes I lost my concentration, but I have to be more consistent. "I think they know what I can do now." They also have an idea of what Smith can do. It's no secret that he played in the post during his lone season at Texas Tech, despite standing just 6-foot-2 ¾ without sneakers and being listed as a guard. As a result, the Sixers are being patient with his adjustment to playing shooting guard. Yet he produced three to four plays a game that showed why the Sixers acquired him and the Miami Heat's unprotected 2021 first-rounder from the Phoenix Suns for Mikal Bridges, whom they selected 10th in the NBA draft. Smith, who was picked 16th, averaged 7.7 points, 2.3 rebounds, 2.7 assists and 1 steal in summer league. Sixers assistant Kevin Young said the next step for the 19-year-old is making quicker decisions with the ball. "You know he gets on the way and he just holds it a little bit," said Young, who coached the summer squad. "When you have that much explosion, just quick decisions for him should rule the day. That will be a big point of emphasis for him in the next month or two when we start camp." While Smith and Korkmaz garnered most of the attention, post players Cameron Oliver and Isaiah Miles also caught the Sixers' attention. Both showed they could make valuable contributions on NBA rosters, possibly as two-way players. Miles, a former St. Joe's standout who played two seasons overseas, displayed range, mobility, and rebounding. Oliver was a solid energy guy who blocked shots and punished the rim on dunks. He played this past season for the Sixers' NBA G League affiliate, the Delaware Blue Coats, who still hold his G League rights. "Cam Oliver's athleticism has been well-documented here," Young said. "He's a guy that has upside. I think as he continues to grow into who he can actually be in the NBA and plays within himself, I think he has a shot."